But that paints an unbalancedÃ¢ÂÂand overly dishearteningÃ¢ÂÂpicture of whatÃ¢ÂÂs going on with environmental stewardship today. There are success stories, and Our Once and Future Planet delivers a fascinating account of one of the most impressive areas of current environmental experimentation and innovation: ecological restoration. Veteran investigative reporter Paddy Woodworth has spent years traveling the globe and talking with peopleÃ¢ÂÂscientists, politicians, and ordinary citizensÃ¢ÂÂwho are working on the front lines of the battle against environmental degradation. At sites ranging from Mexico to New Zealand and Chicago to Cape Town, Woodworth shows us the striking successes (and a few humbling failures) of groups that are attempting to use cutting-edge science to restore blighted, polluted, and otherwise troubled landscapes to states of ecological healthÃ¢ÂÂand, in some of the most controversial cases, to particular moments in historical time, before widespread human intervention. His firsthand field reports and interviews with participants reveal the promise, power, and limitations of restoration. Ecological restoration alone wonÃ¢ÂÂt solve the myriad problems facing our environment. 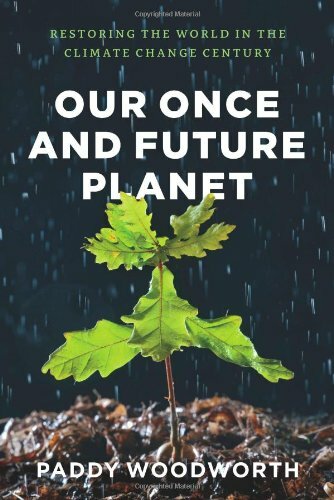 But Our Once and Future Planet demonstrates the role it can play, and the hope, inspiration, and new knowledge that can come from saving even one small patch of earth. About: The environmental movement is plagued by pessimism. With Tabor Evans | from Jove Pubns (July 1, 1999); titled "Longarm and the Lady from Tombstone"
About: Lorena Webber asks Longarm to investigate love-'em-and-leave-'em con man Lester Twill, but the U.